We now have draft financial accounts for Stockfest18. Although Stockfest is primarily a community event we were also able to raise funds via Stockfest and donations to benefit local charities. 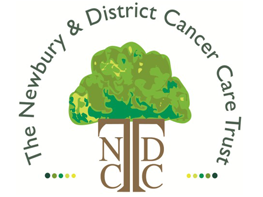 £750 was raised for Newbury & District Cancer Care Trust and £250 for the local Dogs Trust, being our two nominated charities. To support the community we have donated £250 to St John’s Church and allocated another £250, on top of the £1,000 allocated from Stockfest17, towards the repair of the church clock. We’ve also given £250 to help the Sutton Hall Committee create a pop-up pub in the Village Hall on a regular basis whilst the village is pub-less. In addition various local community based groups used Stockfest18 to raise funds. The Church raised over £1000 from their events, the Sutton Hall raised over £500 and Stockfest18 made payments to local performers of £400 to Kennet Opera and £50 to Wessex Harpists. Once our accounts have been finalised there may be scope for additional donations. We’re delighted Stockfest18 was a success and on behalf of the whole organising committee would like to thank our many helpers and supporters without whom staging the numerous events, large and small, it would not have been possible.